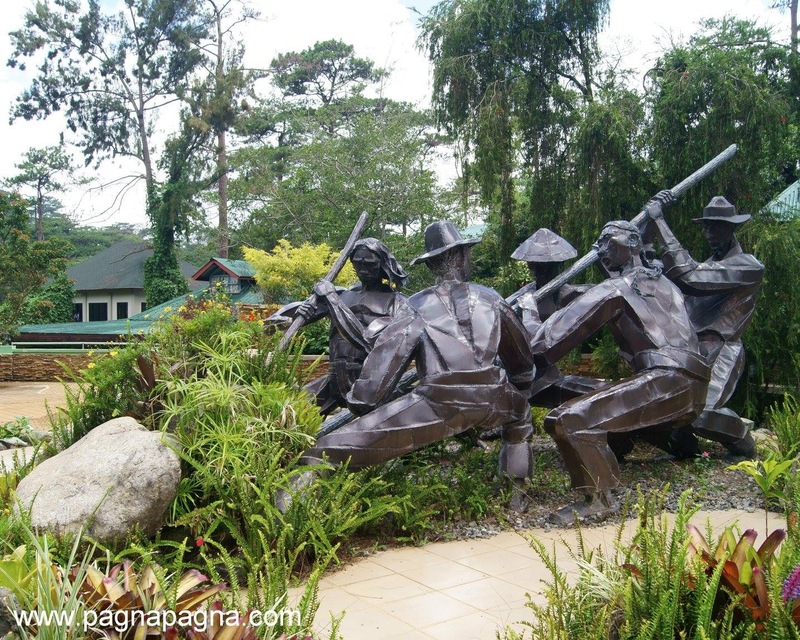 "Next to Burnham Park, I think this is the one to visit when in Baguio City"
If you find this story/blogpost interesting and/or had helped you in any way (in your researches, works, travels, blogs, adventures, homeworks at school, a personal project and more), I'd like to hear a word or two from wonderful people like you or simply Like "pagnapagna" in Facebook. It gives me inspirations. Cheers! It's been a long time since I visited this place. 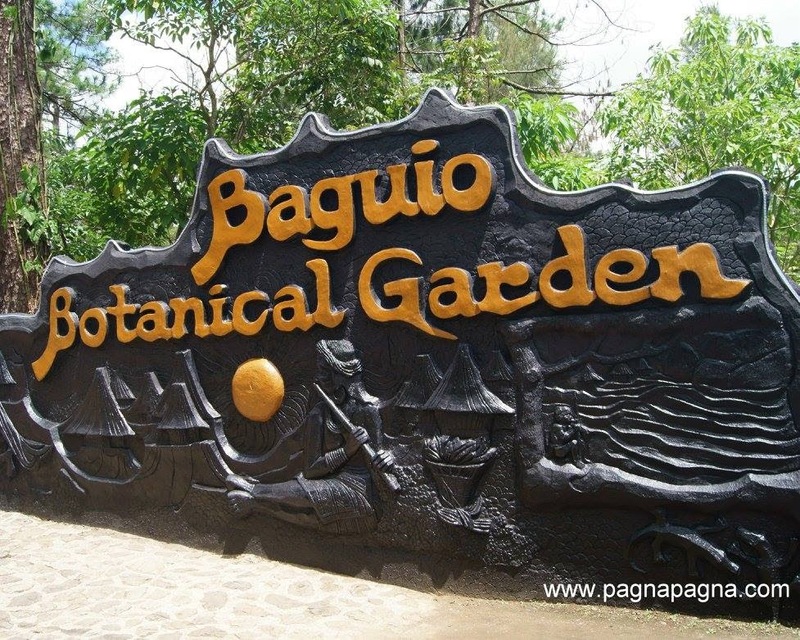 The last time was during my college school days when I went summer school at Baguio Colleges Foundation (now named University of the Cordilleras). This time, I went again to see what's inside this roadside-mountainside fenced area which is the Botanical Garden. The entrance is rather confusing. Will I go to the right or left of the "Botanical" welcome sign on that front wall? I went to the left which is a ramp going down with a stainless steel handrail and passed by a cafe. So I think I went on the wrong entrance but it's not that it's prohibited. Now I'm in the inside and went around. Some of the old ones were still there. I remember that circular shade was where I sat down just enjoying nature. The souvenir items vendors were preparing their commodities (key chains etc) on a makeshift tables by the pathway. There was still that old bungalow that used to be an art gallery before and now used perhaps as quarters for the park's employees but I'm not that sure. At a distance is the "Friendship Pavilion" commemorating the sister city relationship of Baguio City and Hangzhou City, Peoples Republic of China. The pavilion and marker were constructed by the Filipino-Chinese community in Baguio to honor the goodwill ties established on August 13, 1982. The area obviously is Chinese inspired with a small pagoda. 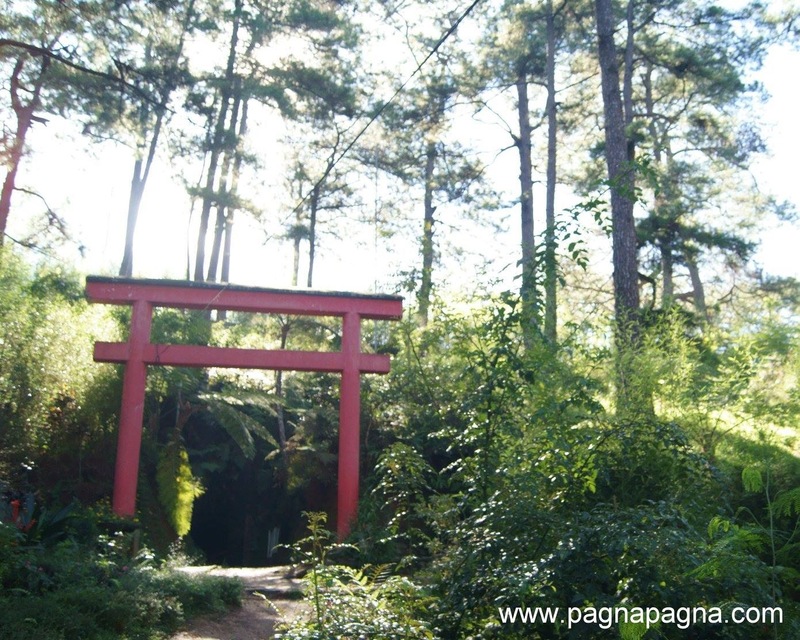 Strolling around, I arrived at the "Japanese Filipino Peace Memorial Park" wherein at a distance is a Japanese tunnel and believed to have been constructed between 1942-1945 by the Japanese Imperial Army during the Japanese occupation. It has 150 meters of walkway with 30 cubicles. The passing guard said I can go inside but from the outside, the inside looks creepy dark. There is that marker that states "City of Vaughan, Ontario, Canada Proud Twin City of Baguio" and many more areas which were all "adopted" or sponsored by various agencies such as the Philippine Mine Safety and Environment Association (PMSEA). 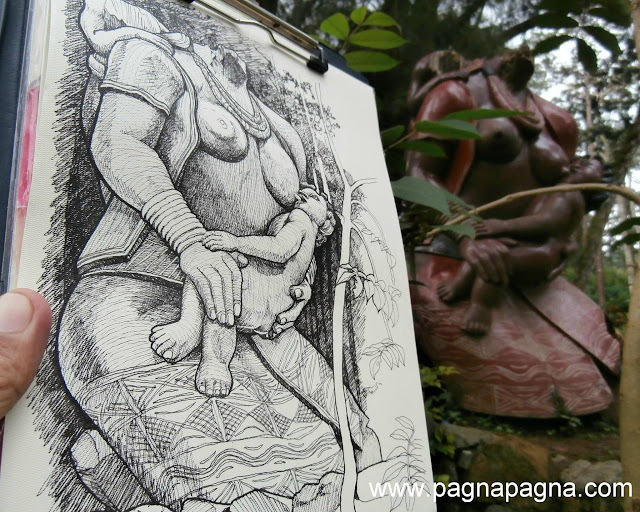 Of all the "things" in the park, what caught my attention is the three large wood sculpture wherein I sat down beside one of them and had a sketch particularly that of the breastfeeding sculpture. It is just so unfortunate that these sculptures cannot withstand exposure to the elements that they are starting to decay. The breastfeeding sculpture is without head anymore. Comparing before and now, yesterday's seems to have more flowering plants. The famous Baguio flowering plant "everlasting" seems to have been gone. Wala nga yatang forever, he he he. Anyway, this time might not just be the flowering season.